From the bloggers and foodie couple behind Elephantastic Vegan, Bianca Haun and Sascha Naderer bring seventy-five delicious plant-based recipes to the table. 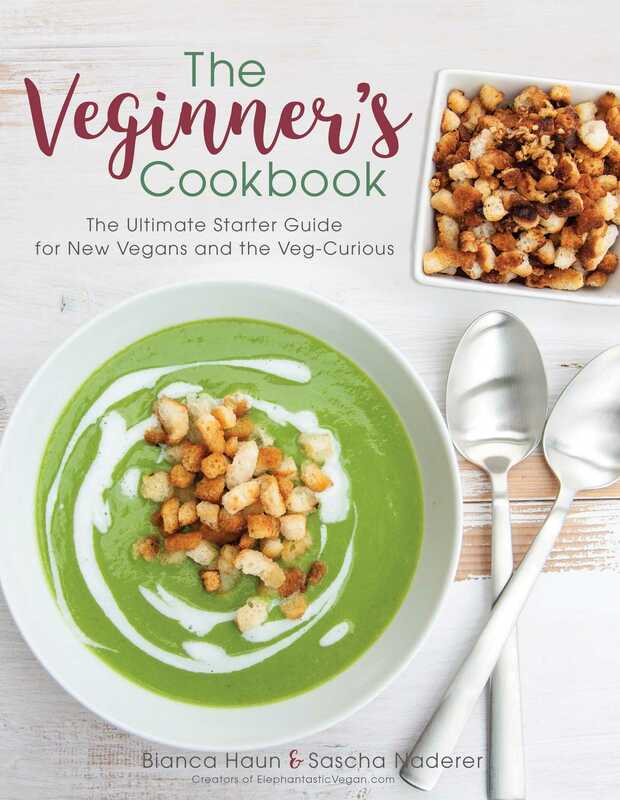 The Veginner’s Cookbook is for anyone thinking about transitioning to a vegan diet or having difficulties maintaining a vegan lifestyle; Bianca and Sascha call them Veginners. Vegan cooking doesn’t have to be difficult, expensive, or time intensive to make easy, delicious, homemade food that anyone can enjoy!